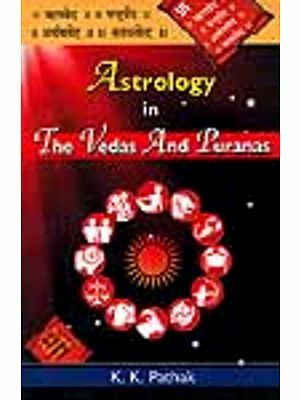 The Purana literature as ascribed to Vedavyasa are uniformly stated to the eighteen in number, are also works of evidently different ages, and have been compiled under different circumstances, the precise nature of which we can but imperfectly conjecture from internal evidence, and from what we know of the history of religious opinion in India. 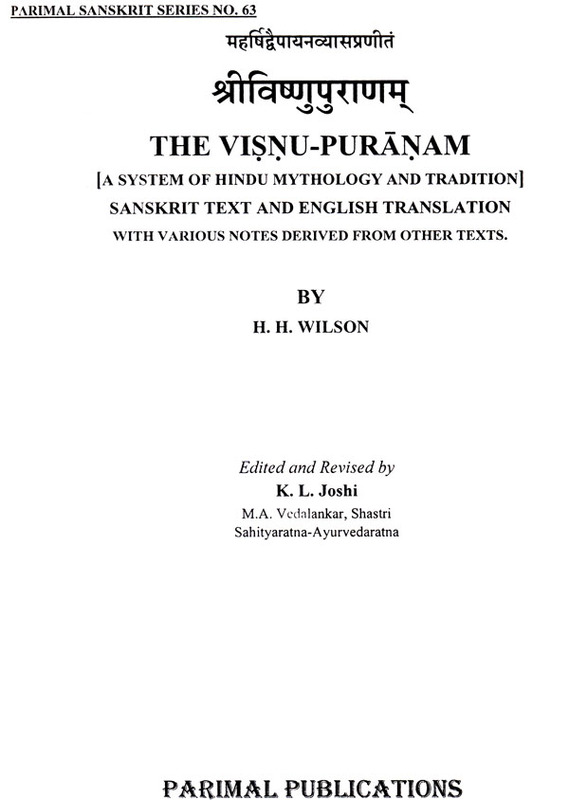 The Visnu Purana. "That in which Parasara, beginning with event of the Varaha Kalp, expounds all duties, is called Vaisnava; and the learned know its extent to be twenty-three thousand stanzas. 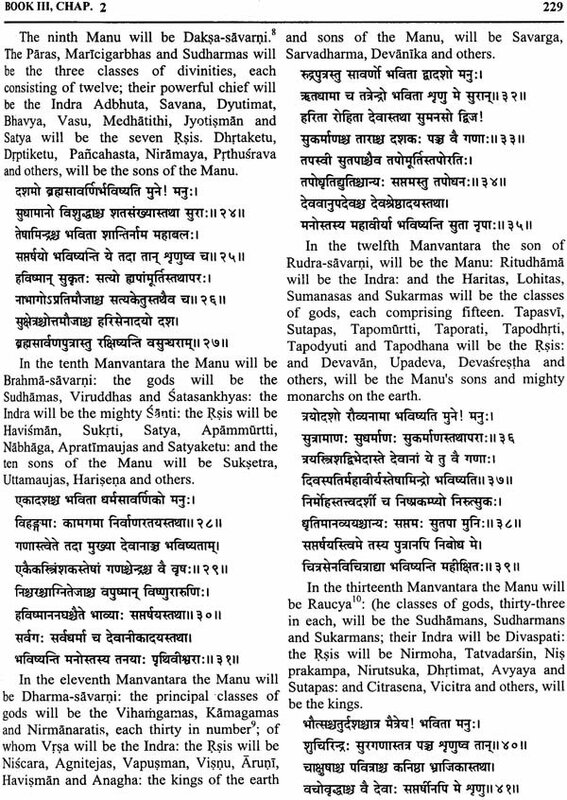 This Purana is divided in the six books, in which the first is occupied chiefly with the details of creation, primary (Sarga) and secondary (Pratisarga); the first explaining how the universe proceeds from Prakrti or eternal crude matter, the second, in what manner the forms of things are developed from the elementary substances previously evolved or how they reappear after their temporary destruction. The second book opens with a continuation of the kings of the first Manvantara; amongst whom, Bharata is said to have given a name to India, called after him Bharatavarsa. This leads to a detail of the geographical system of the Puranas, with mount Meru, the seven circular continents and their surrounding oceans, to the limits of the world; This also contains of the planetary and other spheres is equally mythological, although occasionally presenting practical details and notions in which there is an approach to accuracy. The fifth book of the Visnu Purana is exclusively occupied with the life of Krsna. This is one fo the distinguishing characteristics of the Purana and is one argument against its antiquity. The literature of the Hindu has now been cultivated for many years with singular diligence, and in many of its branches with eminent success. There are some departments, however, which are yet but partially and imperfectly investigated; and we are far from being in possession of that knowledge which the authentic writings of the Hindu alone can give us of their religion, mythology, and historical traditions. From the materials to which we have hitherto had access, it seems probable that have been three principal from in which the religion of the Hindu has existed, as many different periods. The duration of those periods, the circumstances of their succession, and the precise state of the national faith at each season, it is not possible to trace with any approach to accuracy. The premises have been too imperfectly determined to authorize other than conclusions of a general and somewhat vague description, and those remain to be here after confirmed or corrected by more extensive and satisfactory research. The earliest form under which the Hindu religion appears is that taught in the Vedas. The style of the language, and the purport of the composition of those works, as far as we are acquainted with them, indicate a date long anterior to that of any other class of Sanskrit writings. It is yet, however, scarcely safe to advance an option of the precise belief or philosophy which they inculcate. To enable us to judge of their tendency, we have only a general sketch of their arrangement and contents, with a few extracts, by Colebrooke, in the Asiatic Researches; a few incidental observations by Ellis, in the same miscellany; and a translation of the first book of the Samhita, or collection of the prayers of the Rg-vedas, by Rosen and some of the Upanisads, or speculative treatises, attached to, rather than part of, the Vedas, by Rammohan Roy. Of the religion taught in the Vedas, Colebrooke’s opinion will probably be received as that which is best entitled to deference, as certainly no Sanskrit scholar has been equally conversant with the original works. “The real doctrine of the Indian scripture is the unity of the Deity, in whom the universe is comprehended; and the seeming polytheism which it exhibits, offers the elements, and the stars and planets as gods. The three principal manifestations of the divinity, with other personified attributes and energies, and most of the other gods of Hindu mythology, are indeed mentioned, or at least indicated, in the Vedas. But the worship of deified heroes is no part of the system; nor are the incarnations of deities suggested in any portion of the text which I have yet seen, though such are sometimes hinted at by the commentators.” Some of these statements may perhaps require modification; for without a careful examination of all the prayers of the Vedas, it would be hazardous to assert that they contain no indication whatever of hero-worship; and certainly they do appear to allude occasionally to the Avataras, or incarnations, of Visnu. 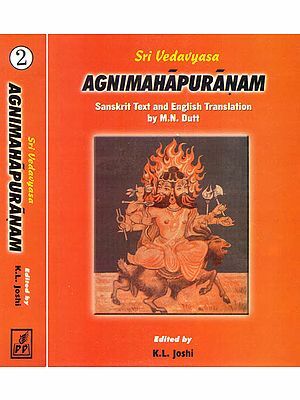 Still, however, it is true that the prevailing character of the ritual of the Vedas is the worship of the personified elements; of Agni, or fire, Indra, the firmament; Vayu, the air; Varuna, the water; of Aditya, the sun; Soma, the moon; and other elementary and planetary personages. It is also true that the worship of the Vedas is for the most part domestic worship, consisting of prayers and oblations offered- in their own houses, not in temples-by individuals for individual good, and addressed to unreal presences, not to visible types. In a word, the religion of the Vedas was not idolatory. It is not possible to conjecture when this more simple and primitive from of adoration was succeeded by the worship of images and types, representing Brahma, Visnu, Siva, and other imaginary beings, constituting a mythological pantheon of most ample extent; or Rama and Krsna who appear to have originally real and historical characters, were elevated to the dignity of divinities. 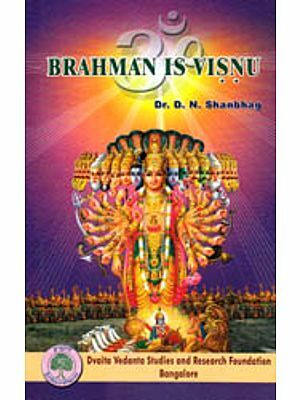 Image worship is alluded to by Manu is several passage, but with an intimation that those Brahmanas who subsist by ministering in temples are an inferior and degraded class. The story of the Ramayana and Mahabharata turns wholly upon the doctrine of incarnations, all the chief dramatist personae of the pesonae of the poems being impersonations of gods and demigods and celestial spirits. The rituals appears to be that of the Vedas, and it my be doubted if any allusion to image-worship occurs; but the doctrine of propitiation by penance, and praise prevails throughout, and Visnu and Siva are the especial objects of panegyric and invocation. In these two works, then, we trace unequivocal of a departure from the elemental worship of the Vedas, and the origin or elaboration of legends, which form the great body of the mythological religion of the Hindus. How far they only improved upon the cosmogony and chronology of their predecessors, or in what degree the traditions of families and dynasties may originate with them, are questions that can only be determined when the Vedas and the two works in question shall have been more thoroughly examined. The different works known by the name of Puranas are evidently derived from the same religions system as the Ramayana and Mahabharata, or from the myth-heroic stage of Hindu belief. They present, however, peculiarities which designate their belonging to a later period, and to an important modification in the progress of opinion. They repeat the theoretical cosmogony of the great poems; they expand and systematize the chronological computations; and they give a more definite and connected representations; and they give a more definite and connected representation of the mythological fictions, and the historical traditions. But besides these and other particulars, which may be derivable from an old, if not from a primitive are, they offer characteristic peculiarities of a more modern description, in the paramount importance which they assign to individual divinities, in the variety and purport of the rites and observances addressed to them, and in the invention of new legends illustrative of the power and graciousness of those deities, and of the efficacy of implicit devotion to them. Siva and Visnu, under one or other form, are almost the sole objects that claim the homage of the Hindu in the Puranas; departing from the domestic and elemental ritual of the Vedas, and exhibiting a sectarial fervour and exclusiveness not traceable in the Ramayana and only to a qualified extent in the Mahabharat. They are no longer authorities for Hindu belief as a whole: they are special guides for separate and sometimes conflicting branches, of it, compiled for the evident purpose of promoting the preferential or in some cases the sole, worship of Visnu or of Siva. That the Puranas always bore the character here give of them, may admit of reasonable doubt; that it correctly applies to them as they now are met with, the following pages will irrefragably substantiate. It is possible, however, that there may have been an earlier class of Puranas, of which those we now have are but the partial and adulterated representatives. The identity of the legends in many of them, and still more the identity of the words-for in several of them long passages are literally the same-is a sufficient proof that in all such cases they must be copied either from some other similar work, or from a common and prior original. It is not unusual also far a fact to be stated upon the authority of an ‘old stanza’ which is cited accordingly; showing the existence of an earlier source of information: and in very many instances legends are alluded to, not told, evincing acquaintance with their prior narration somewhere else. The name itself, Purana, which implies ‘old,’ indicates the object of the compilation to be the preservation of ancient traditions, a purpose in the present condition of the Puranas very imperfectly fulfilled. Whatever weight may be attached to these considerations, there is no disputing evidence to the like effect afforded by other and unquestionable authority. 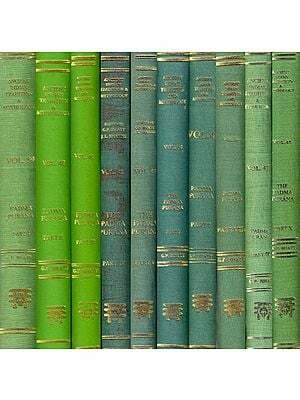 The description given by Colebrooke of contents of a Purana is taken from Sanskrit writers. The Lexicon of Amarasimha gives as a synonym of Purana, Puncha-laksanam, ‘that which has five characteristic topics:’ and there is no difference of opinion amongst the scholiasts as to what these are. They are, as Colebrooke, mentions, 1. Primary creation, or cosmogony; 2. Secondary creation; or the destruction and renovation of worlds, including chronology; 3. Genealogy of gods and patriarchs; 4. Reigns of the Manus, or periods called Manvantaras; and 5. History, or such particulars as have been preserved of the princes of the solar and lunar races, and of their descendants to modem times. Such, at any rate, were the constituent and characteristic portions of a Purana in the days of Amara Simha, fifty-six years before the Christian era; and if the Puranas had undergone no change since his time, such we should expect to find them still. Do they conform to this, description? Not exactly in any one instance; to some of them it is utterly inapplicable; to others it only partially applies. There is not one to which it belongs so entirely as to the Visnu Purana, and it is one of the circumstances which gives to this work a more authentic character than most of its fellows can pretend to. 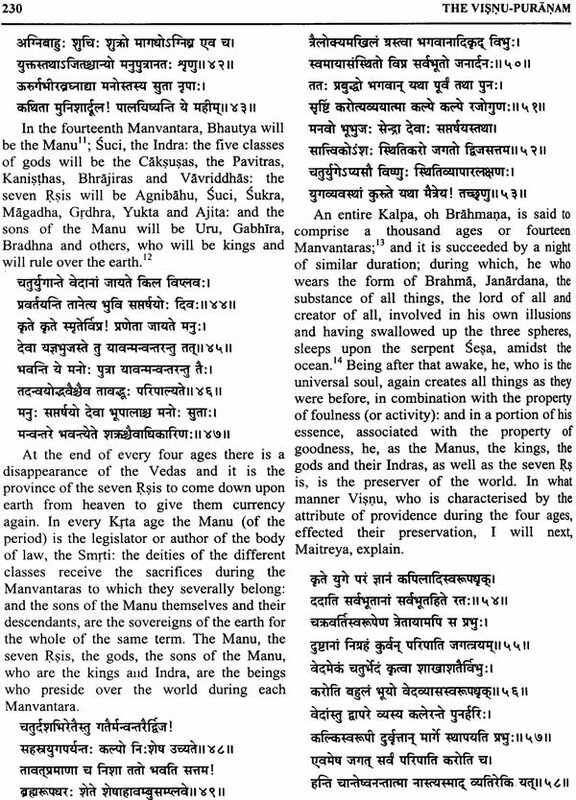 Yet even in this instance we have a book upon the institutes of society and obsequial rites interposed between the Manvantaras and the genealogies of princes, and a life of Krsna separating the latter from an account of the end of the world, besides the insertion of various legends of a manifestly popular and sectarial character. No doubt many of the Puranas, as they now are, correspond with the view which Vans Kennedy takes of their purport. “I cannot discover in them,” he remarks “any other object than that of religious instruction.” The description of the earth and of the planetary system, and the lists or royal races which occur in them, he asserts to be “evidently extraneous, and not essential circumstances, as they are entirely omitted in some Puranas, and very concisely illustrated in others; while on the contrary, in all the Puranas some or other of the leading principles, rites, and observance of the Hindu religion are fully dwelt upon, and illustrated either by suitable legends or by prescribing the ceremonies to be practised, and the prayers and invocations to be employed, in the worship of different deities.” Now, however accurate this description may be of the Puranas as they are, it is clear that it does not apply to what they were when they were synonymously designated as Panca-Laksanas, or ‘treatises on five topics;’ not one of which five is ever specified by text or comment to be “religious instruction.” In the knowledge of Amara Simha the lists of princes were not extraneous and unessential, and their being now so considered by a writer so well acquainted with the contents of the Puranas as Vans Kennedy is a decisive proof that since the days of the lexicographer they have undergone some material alteration, and that we have not at present the same works in all respects that were current under the denomination of Puranas in the century prior to Christianity. The inference deduced from the discrepancy between the actual from and the older definition of a Purana, unfavourable to the antiquity of the extant works generally, is converted into certainty when we come to examine them in detail; for although they have no dates attached to them, yet circumstances are sometime mentioned or alluded to, or references to authorities are made, or legends are narrated, or places, are particularized of which the comparatively recent date is indisputable, and which enforce, a corresponding reduction of the antiquity of the work in which they are discovered. At the same time they may be acquitted of subservience to any but sectarial imposture. They were pious frauds for temporary purposes: they never emanated from any impossible combination of the Brahmanas to fabricate for the antiquity of the antiquity of the entire Hindu system and claims which it cannot fully support. A very great portion of the contents of many, some portion of the contents of all, is genuine and old. The sectarial interpolation or embellishment is always sufficiently palpable to be set aside, without injury to the more authentic and primitive material; and the Puranas, although they belong especially to the stage of the Hindu religion in which faith in same on divinity was the prevailing principle, also a valuable record of the form of Hindu belief which came next in order to that of the Vedas; which grafted hero-worship upon the simpler ritual of the latter; and which had been adopted, and was extensively, perhaps universally established in India at the time of the Greek invasion. The Hercules of the Greek writers was indubitably the Balrama of the Hindus; and their notices of Mathura of the Jumna, and of the kingdom of the Suraseni and the Pandaean country, evidence the prior currency of the traditions which constitute the argument of the Mahabharata, and which are constantly repeated in the Puranas relating to the Pandava and Yadava races, to Krsna and contemporary heroes, and to the dynasties of the solar and lunar kings.